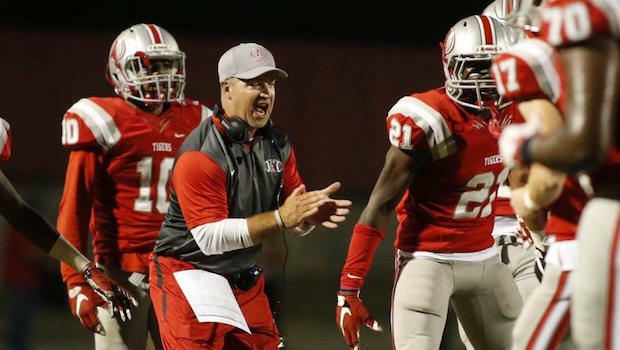 Since it was founded in 2009, Archer High School has managed to win three region championships, has been to the playoffs six times and is heading into its fifth-consecutive Corky Kell appearance this August. With so many achievements in so little time, the question is, how have they come so far so fast? One of the answers lies in head coach Andy Dyer. Dyer has been the head coach of the Tigers since the program was established in 2009. After coaching at Brookwood and Mill Creek, Dyer decided to put his blood, sweat and tears into building the football program at Archer. Dyer dedicated his time to creating this team from the ground up. For the past 10 years, the program has had the same three goals — state playoffs, region championship and state championship. From the first time a freshman steps on the field to the last time a senior leaves the stadium, that player is responsible for playing the best that he can, to help his team reach its goals. In their inaugural season, the Tigers played a JV schedule, but by their second year, they began playing in one of the toughest regions in the state, playing against teams like Brookwood and Parkview. 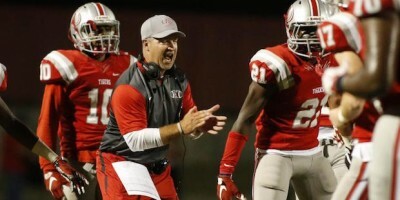 Although they were playing more established programs, and were competing against teams with plenty of next-level, the players in Archer’s young program did not let that bring them down. By their third season in 2011, the Tigers made their first appearance in the playoffs, and the team made it to all the way to the state championship game in 2014, losing 28-24 to Colquitt County. Although the head coach title is next to Dyer’s name, he sees himself as just a piece of the puzzle. He understands the importance of everyone around him. Dyer also takes pride in the level of commitment his players exhibit. One of the ways Archer has been able to develop such a strong program is by reaching out to the younger generations. Dyer puts emphasis on creating a successful youth program that introduces kids to football at a young age. All of these attributes are what have allowed Dyer and the Tigers to achieve so much over the past nine seasons, making way for their fifth-consecutive Corky Kell appearance. With Corky Kell only a few weeks away, the Tigers are busy developing their team right now, going through summer workouts and team camps. Going into their fifth year on the big stage, Dyer knows what to expect when his team goes into its first matchup against Milton in the Corky Kell Classic. But as prepared as the team might be, Dyer knows that it is hard to tell what the outcome will be until the game starts. His focus right now is getting his team ready for Milton. Archer will play Milton in the Corky Kell Classic on Aug. 17 at 8:30 p.m. at Georgia State Stadium.